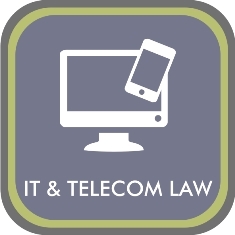 ICT- Law refers to a growing and dynamic body of law enabling us to keep up with technological advances. The Constitution and more in particular Section 14 (Right to Privacy); Section 16 (Right to Freedom of Expression); Section 32 (Right to access to information). The Promotion of Access to Information Act, Act 2 of 2000 (PAIA) which give effect to Section 32 of the Constitution. The Electronic Communications and Transactions Act, Act 25 of 2002 (ECT- Act). The Regulation of Interception of Communications and Provision of Communication-Related Information Act, Act 70 of 2002 (RICA-Act). The Electronic Communications Act, Act 36 of 2005 and the Independent Communications Authority of South Africa Act, Act 13 of 2000 (ICASA-Act). Many technologies and applications associated with the Internet have the potential to have an impact on a person’s privacy. The fact of the matter is computers were designed to collect, compile and store large volumes of information. The Protection of Personal Information Act, No 4 of 2013, published in Government Gazette no 37067 of 26 November 2013 has been enacted. There is currently a grace period in which to comply with the said Act. VERSTER-ROOS INCORPORATED ATTORNEYS AND CONVEYANCERS are ready and able to assist you.